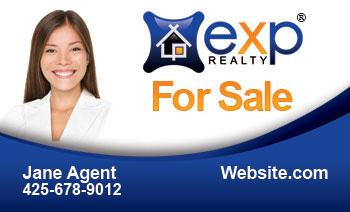 Order your first 1,000 eXp Realty business cards. 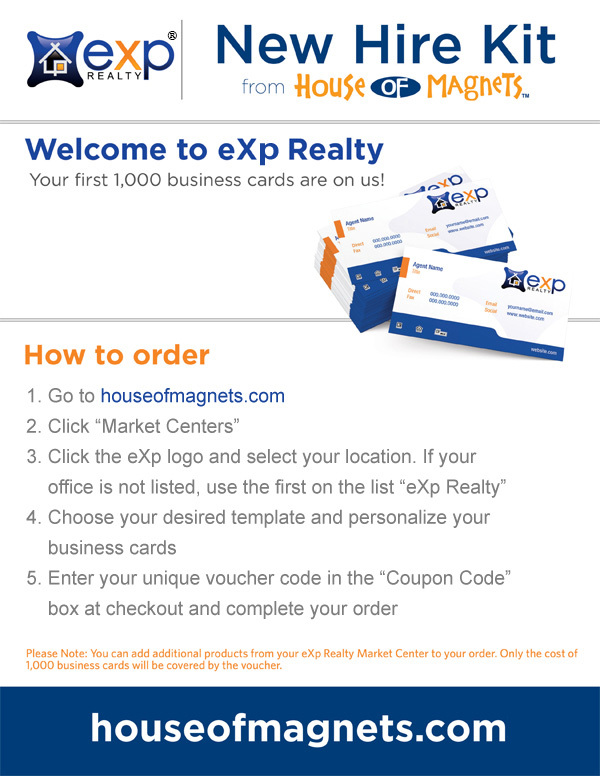 A coupon code for your free business cards is provided in a welcome email immediately after your official joining of eXp Realty. If you have lost your code or have any questions please contact agentservices@exprealty.com. To order signs elsewhere, or for other custom designs, our artwork is shared in the folder link below. These files are .AI and will require a graphic program to open. Looking for a postcard to mail to your client database? How about an eXp-branded flyer for agent attraction? Now you can find everything with just one click from your Enterprise Launchpad with eXp Marketing Center. You’ll find new eXp attraction flyers, all the great marketing materials from our partner BreakthroughBroker.com and more!